In the early ‘90s, skateboarding had a uniform. It consisted of an oversized white t-shirt, half cabs, pumas, or adidas, and, of course, cutoff baggy Blind jeans. As most things do, the fad faded after a run that lasted several years, and skaters moved on. Fast-forward to present day. We’ve seen a resurgence of all things ‘90s—including baggy cutoff jeans. Supreme released its version several years ago, but you can now own a reissue of the original. The iconic pants that defined an era will soon be available in indigo blue and bull denim brown at a skateshop near year. If you were born in the ‘90s (or after) and really want to celebrate that special moment in time, then these are a must-have item. 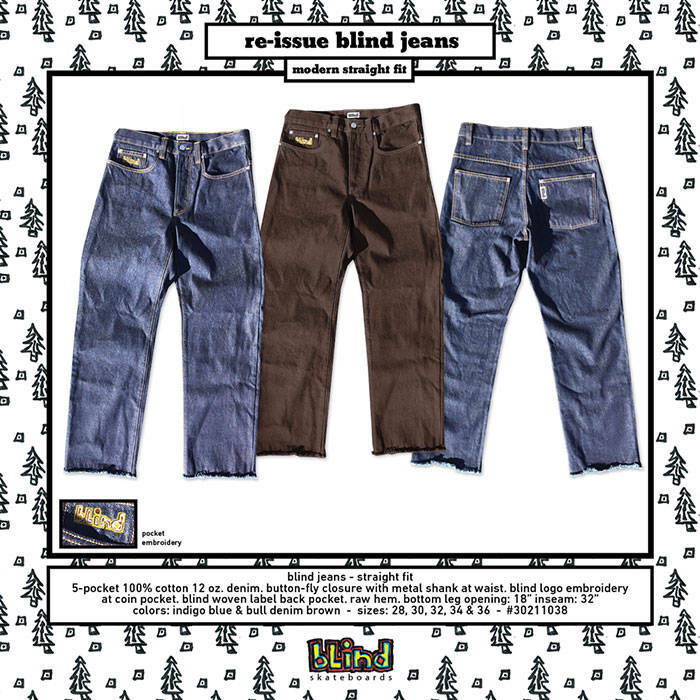 If you were around for the first incarnation of Blind jeans, you may want to grab a pair along with one of those 101 reissue decks and spend the remainder of the time between now and October searching eBay for a set of 42MM wheels. Halloween will be here before you know it. Dogs, overzealously knobbed rails, and candid shots of Dan Lu asleep. You’ll see all this and more as Blake scrolls his roll. Blake’s latest part will be released right here on The Berrics this Friday. In the meantime, check out his behind-the-scenes footage in his first three PUSH episodes.